Ahead of the Presidential election slated for Saturday February 16, the Peoples Democratic Party, PDP, has devised five strategies aimed at preventing what it called the manipulation of the electoral process. This was made known to journalists Wednesday in Abuja by former Aviation Minister and spokesperson/chairman, Strategy Committee of the PDP Presidential Campaign Council, Osita Chidoka. According to Chidoka, the PDP has in place, “A state-of-the-art Parrell Voting Tabulation, PVT system, a national network of fully equipped Situation Rooms and Call Centres, a nation-wide hotline for the public to report malpractice as well as the launch of a hashtag, #DefendYourVote, among others. On the rationale for deploying the PVT, Chidoka explained that the device “is a scientifically proven, best practice technique, to hold election authorities accountable, particularly when there is a lack of trust and the result are highly contested.” He added that the PVT would ensure that PDP partisans “accept the results of the election, and that the country remains peaceful and respectful of its differences,” adding that some civil society organisations would also have their PVTs in place. The PDP chieftain further explained: “Our methodology accounts for several different scenarios to ensure continued collation of the results in the event of any disruptions with collation process. “Hard copies of the signed voter tally provided to all party agents by the Independent National Electoral Commission, INEC officers, will be transported to the central command center should future disputes need to be reconciled.” And unlike in the past, Chidoka said the party would deploy a huge number of well trained and educated agents to each of the 176, 000 polling units nationwide. He spoke further on other strategies aimed at ensuring that the polls mirror the will of the electorate. “PDP has established a reporting system for the PVT through the wards to the district headquarters, to the states and to the national tally centre,” he added A nation-wide hotline for the public to report infractions has been launched by the party even as the ex-Minister explained that the PDP “is providing multiple-line inbound call centre linked to a single hotline number: 097000551 for voters to report any incidence of violence or electoral malpractice.” The #DefendYourVote campaign, another strategy unveiled by the party according to Chidoka is targeted at Nigeria’s largest voter block (18-25 years-old), adding that “a set of 12 easy-to-follow guidelines has been communicated to voters.” While warning against the a recap of what he called the “Osun playbook, Chidoka said the PDP has adopted international best practices, including “establishing a robust elections results management system,” coupled with its “wide array of intelligence collectors and patriotic public servants who are resolute in defending the constitution and the integrity of our electoral process.” He also noted that the ruling All Progressives Congress, APC, may want to re-enact what happened in Osun in Akwa Ibom, Bayelsa, Cross River, Delta, Kaduna, Kano and Rivers states, stressing however that PDP was equal to the task. For those nursing the intent to rig the polls, Chidoka has a word for them：“There will be consequences,” he warned. 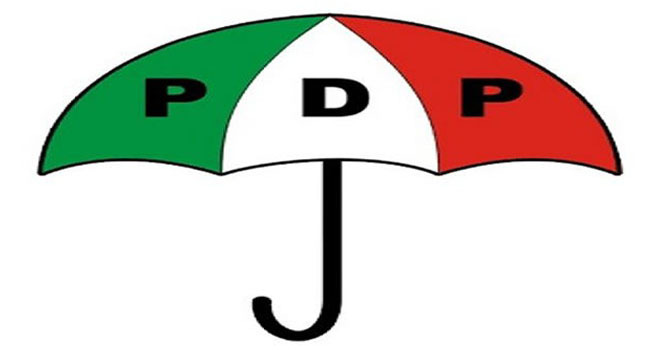 Meanwhile, party’s spokesman, Kola Ologbondiyan has expressed optimism that the election on Saturday is PDP’s to lose. Briefing journalists in Abuja yesterday, the publicity scribe said：“By all manifest indices from the six geo-political zones, 36 states of the federation and the Federal Capital Territory, Abuja, the peoples candidate, Atiku Abubakar, is already coasting to victory and not even the machinations by the Buhari Presidency and the All Progressives Congress ,APC, can change this reality. “Given that INEC is under siege by the Presidency and now relies on the resilient spirit of Nigerians to ensure a free, fair and credible election, the PDP is resolute to lead in the fronts in the pursuit of the wishes and aspirations of Nigerians to take the destiny of our nation in their hands. “The PDP acknowledges the fact that for Nigerians, this election is not about politics but about building our nation; it is not between the PDP and APC but between Nigerian citizens and President Buhari, whose incompetent, vengeful, violent-prone, divisive and inherently corrupt administration has brought so much poverty, anguish and pain to our dear country. “For Nigerians, this election is a choice between democracy and dictatorship; between justice and injustice, between prosperity and poverty; unity and polarity; peace and bloodletting; freedom and enslavement; progress and stagnation; creation of jobs and job losses, respect for territorial integrity and invasion; a choice between an in-charge President and a President by proxy.” According to him, the party is upbeat of uts chances having succeeded in mobilising 40 millions of its members nationwide to vote its candidate on Saturday.